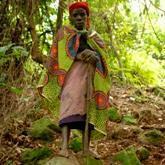 After frequent visits to the new Batwa Pigmy village in Bwindi, Leopold King, Sanctuary Gorilla Forest Camp’s manager couldn’t help but be extremely amazed at the richness of their culture as well as their efficiency in navigating the forest. They zip through the foliage flawlessly, almost as if they had been purposely designed for that. Sanctuary Gorilla Forest Camp is the only camp nestled deep inside Bwindi Impenetrable Forest, a UNESCO World Heritage Site in southwest Uganda. A Female Hippo Rescues A Wildebeest Calf! 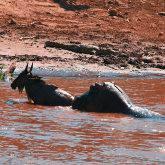 There has been some rain in the catchment area of the Mara River, and the wildebeest crossings are even more dramatic. Guests staying at the luxury Sanctuary Olonana recently saw an unforgettable incident, where a mother wildebeest managed to cross, leaving her calf in the strong current struggling to swim across. Nearby a female hippo was watching the struggle, and to the guests relief, came to the calf’s rescue, pushing it towards the river bank, assisting the young calf to swim across to its mother. The young gnu panted a bit, got up and ran to its mother, who was watching the whole drama unfolding! Sanctuary Olonana is an award-winning tented camp on a private stretch of the Mara River, at the foot of the impressive Siria Escarpment close to where the famous last scene from “Out of Africa” was filmed. Located close to the border with Tanzania, the game concentration is high – and during the annual wildebeest migration, the action happens right on the camp’s doorstep. 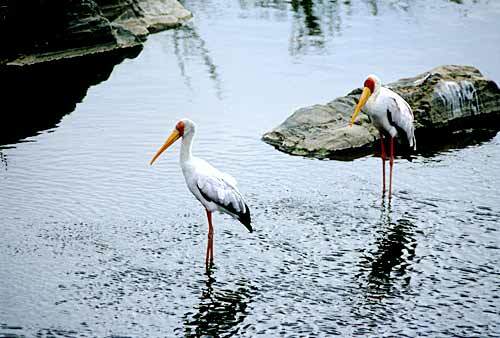 The Mara is a fabulous place forseeing big cats as well as all of thebig five, a variety of plains gameand over 300 bird species. 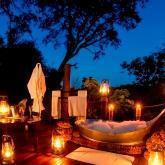 Sanctuary Retreats Family Safari Special offer is available upon request. With this exclusive offer, any child under 16 years who shares a tent with his or her parents will stay for free! Sanctuary Zebra Plains is located in a particularly beautiful and untouched area of the South Luangwa, perched on a sand bank at the confluence of the Luangwa and Chibembe Rivers. There are just four traditional tents – two doubles and two twins. 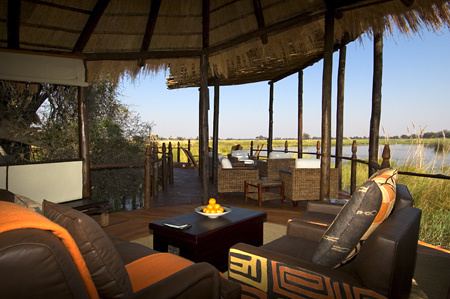 The camp accommodates a maximum of six guests, allowing for an intimate exploration of the South Luangwa. 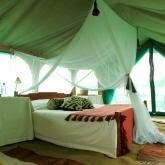 All tents have real beds, campaign furniture, mosquito nets, en suite facilities and flush toilets. Water for al fresco showers is mixed to your preferred temperature by a tent attendant. The main mess tent has a dining area although most of the meals will be served in the open in carefully selected vantage points. There is also a small library and bar area. 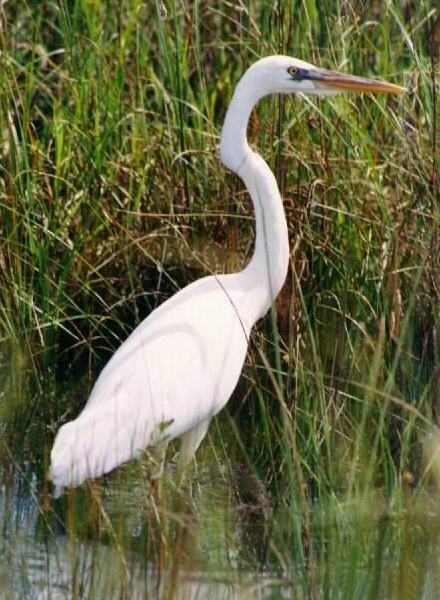 This is a seasonal camp operating from June to October each year and will open for the first time on June 1, 2011. Sanctuary Zebra Plains has been designed to leave the lowest possible carbon footprint and will be packed up completely each year with no trace that it was ever there between seasons. 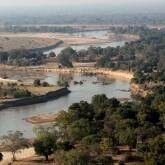 In order to fully explore the South Luangwa, guests will spend three nights at Sanctuary Zebra Plains with set departures on Monday or Thursday. There is an option of combining combining a walking safari with a stay at Sanctuary Puku Ridge Camp or Sanctuary Chichele Presidential Lodge, also in the park. 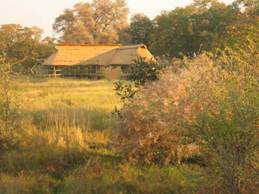 These permanent properties offer morning and evening game drives, the perfect complement to Sanctuary Zebra Plains.